Texas Governor Rick Perry devoted almost a full minute to commercial spaceflight during his State of the State Address. Companies like Blue Origin, SpaceX, and XCOR Aerospace are helping to make Texas the Space State. 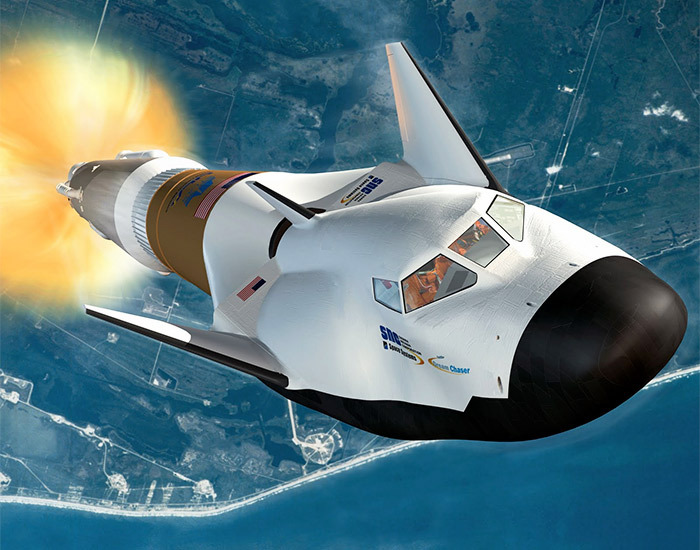 The addition of Lockheed Martin to the Dream Chaser team is interesting in a number of ways. The commercial human spaceflight market is no longer limited to new companies and small players. All of the major US aerospace companies now have a foot in the door. 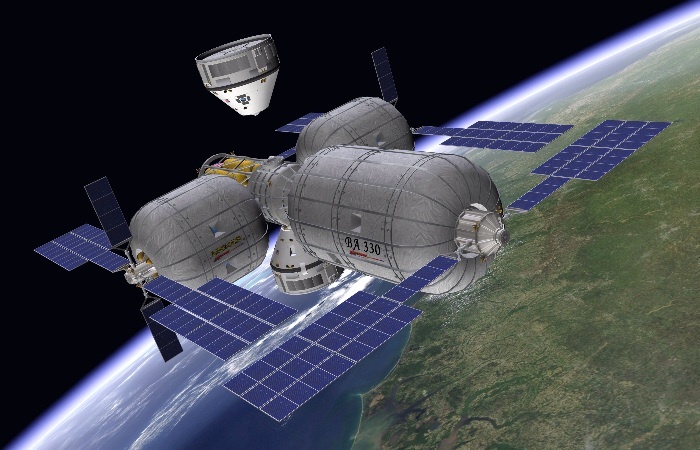 Boeing is developing the CST-100 crew capsule under NASA’s CCDev program. Northrop Grumman owns Scaled Composites, which is building the SpaceShip Two prototype and also a partner in Paul Allen’s Stratolaunch. Orbital Sciences is also a partner in Stratolaunch. And Lockheed Martin is now partnering with Sierra Nevada to help develop the world’s first manned orbital lifting body. Dream Chaser will be the first time a lifting body has carried humans into space, but the new partnership builds on decades of lifting-body experience from the Martin side of Lockheed Martin. 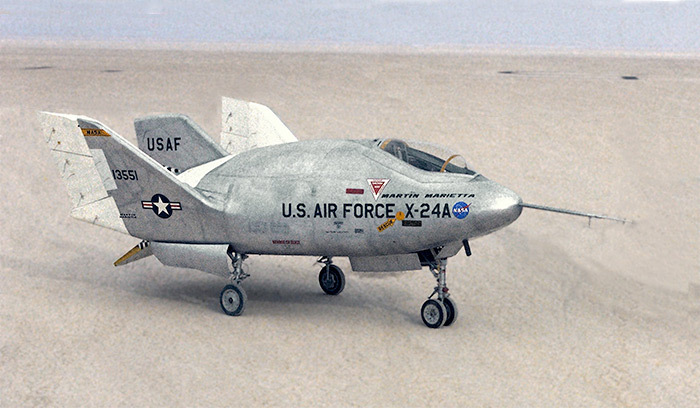 Martin Marietta, one of Lockheed’s heritage companies, built the X-24A lifting body for the US Air Force in the late 60’s and rebuilt it as the X-24B in the early 1970’s. The X-24B had a new shape, derived from wind-tunnel testing, which promised greatly improved lift/drag at hypersonic speeds. Both lifting bodies used the same Reaction Motors XLR11-RM-13 rocket engine, an evolved version of the XLR-RM-5 that propelled Chuck Yeager’s Bell X-1 through the sound barrier in 1946. 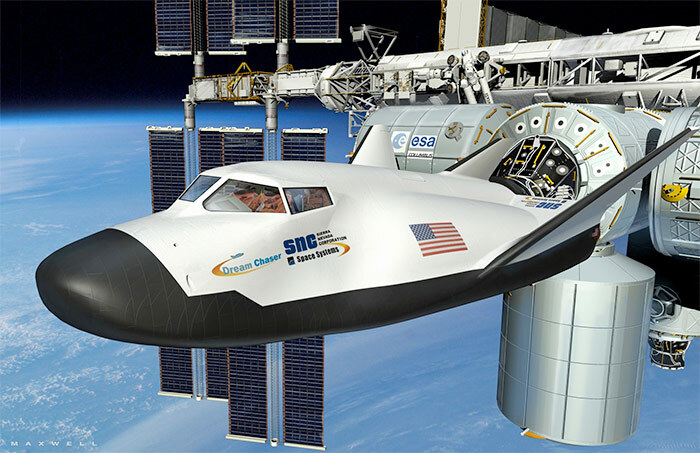 On Wednesday, Sierra Nevada Corporation held a press conference to make a major announcement concerning the development of its development its Dream Chaser lifting body. The question-and-answer session also revealed interesting facts about Sierra Nevada’s plans for Dream Chaser, which are not limited to the International Space Station. The major topic of the press conference was Sierra Nevada’s new partnership with Lockheed Martin Space Systems Company. Lockheed Martin, it was announced, will build the composite structure for the Dream Chaser flight test article at NASA’s Michoud Assembly Facility in New Orleans, Louisiana. The structure is being built under the $212.5 million Space Act Agreement which Sierra Nevada recieved under the NASA Commercial Crew Integrated Capability Program. Lockheed Martin will also serve as a certification partner to help Sierra Nevada achieve NASA’s certification requirements for carrying crew to the International Space Station. During the question-and-answer session, Mark Sirangelo said the destination for Dream Chaser is Low Earth Orbit, not just the International Space Station. Sirangelo is Sierra Nevada’s corporate vice president and head of Space Systems. Another science experiment from NASA astronaut Don Petit, which could serve as a starting point for developing a suborbital experiment. Another one of Don Petit’s Saturday Morning Science experiments. We hope this videos provide inspiration for experiments you would like to fly on our suborbital flights. A microscope is a potentially useful piece of hardware for microgravity experiments. There’s a wide range of small USB microscopes on the market, at price points from under $100 to several hundred dollars. Unfortunately, these microscopes are generally designed to use a Windows or Macintosh computer for data capture, which is a problem for our purposes. Information on Linux compatibility for these microscopes is hard to come by. Fortunately, Adafruit sells a USB microscope which they have worked out the Linux compatibility for. Linux compatibility means the microscope could be used with a small single-board Linux computer such as the $40 Raspberry Pi or the slightly more expensive but more powerful BeagleBone, either of which will fit within the CubeSat form factor. The Adafruit USB microscope sells for $80, so it’s not a high-end microscope by any means, but it may be good enough for many purposes. It is probable that other USB microscopes can be made to work with Linux as well. For right now, this is a start. NASA astronaut Don Petit performs a simple microgravity experiment using Alka Seltzer aboard the International Space Station. 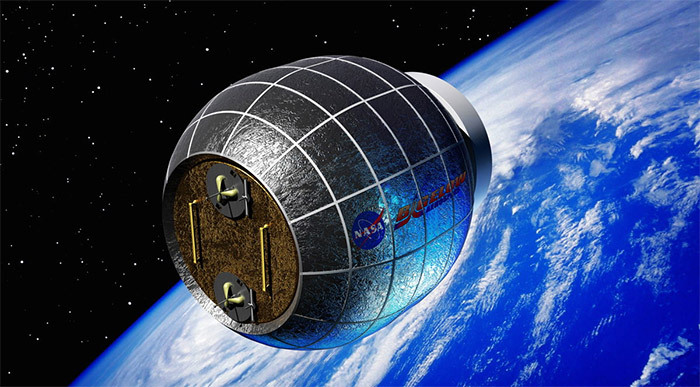 This experiment could easily be duplicated on a suborbital flight. One possible variation on the experiment might use dry ice instead of Alka Seltzer as a carbon dioxide source. On February 15, an asteroid half the size of a football field will fly past Earth, only 17,200 miles above our planet’s surface. This is the first time an object this large has been seen so close to Earth since NEO sky surveys began in the 1990’s. Asteroid 2012 DA14 was discovered by amateur astronomers at the La Sagra Observatory in Spain on February 22, 2012. Orbital calculations show there’s no danger of 2012 DA14 actually hitting Earth, but it’s a pity we don’t have a quick-reaction sortie vehicle or tug that could get into position for a close look as it whizzes by. Such a vehicle would have a wide range commercial and military applications; the occassional rare science opportunity like this would be just an added bonus. The Virtual Telescope Project will be holding a live coverage event starting at 22:00 Universal Time (5:00 PM EST, 2:00 PM PST) on February 15. 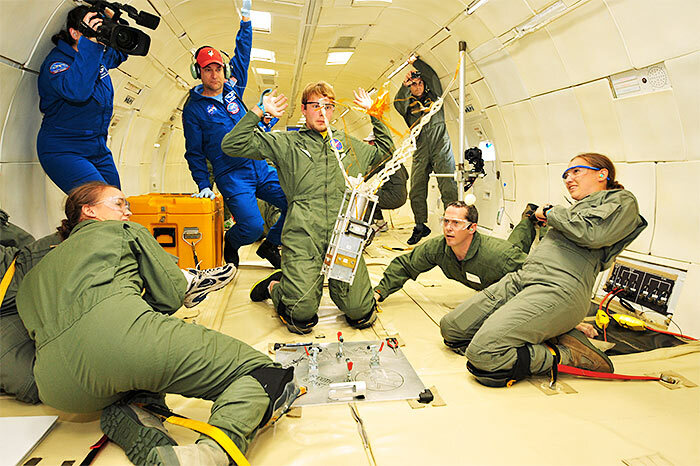 This video shows a simple fluid experiment aboard NASA’s DC-9 Weightless Wonder aircraft. In 1996, fluid mechanics scientist, Dr. Mark Weislogel, performed 50 water-balloon experiments during a four-day flight campaign aboard the DC-9 at NASA’s Glenn Research Center. More information on the experiments is available at http://spaceflightsystems.grc.nasa.gov/WaterBalloon and at http://microgravity.grc.nasa.gov/balloon/HS.HTM. Although these flights are commonly described as “zero gravity,” that is not strictly accurate. Because of limitations on the precision of the parabolic trajectory, occupants do experience some residual gravity. The preferred term is “microgravity,” although that is not strictly accurate, either. Because they fly above atmospheric disturbances, suborbital spacecraft will be able to achieve microgravity levels that are more than 100 times better. Masten Space Systems, one of the leaders in VTOL rocket development, has announced the availability of postgraduate fellowships. Hollywood loves to imagine military systems with all sorts of capabilities that do not exist in the real world. One of their favorites is the satellite that’s able to hover over a target and rely high-resolution images back to a ground station on Earth. This is not possible in the real world because current imaging satellites are in Low Earth Orbit, move on fixed flight paths, and see only a small part of the Earth at any given time. The Defense Advance Research Projects Agency produced this video as a status update on the DARPA Phoenix program. The Phoenix project is developing technologies to harvest valuable components from retired, nonworking satellites for reuse. 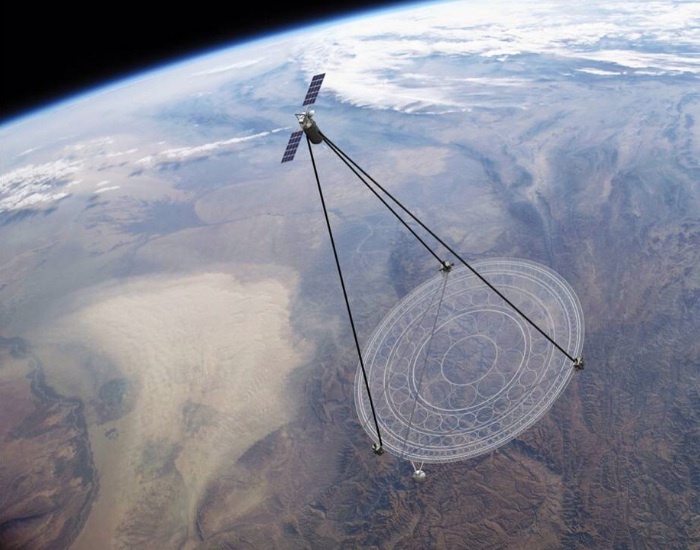 DARPA seeks to demonstrate the ability to create new space systems onorbit at greatly reduced cost by reusing apertures and antennas from decommissioned satellites in a graveyard or disposal orbit. A cosmic catastrophe may have occurred in our part of the galaxy less than 1300 years ago. A similar event today could have damaging effects on our technological civilization. 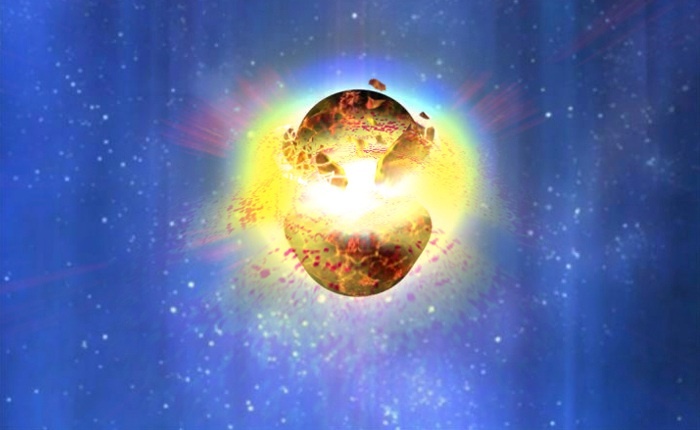 A new paper by astronomers Valeri Hambaryan and Ralph Neuhӓuser at the University of Jena, Germany suggests that a short-duration gamma-ray burst from the merging of two stellar remnants may have caused an intense blast of high-energy radiation that hit the Earth in the 8th century. The paper, A Galactic short gamma-ray burst as cause for the 14C peak in AD 774/5, is published in the Monthly Notices of the Royal Astronomical Society. The history of space launch is replete with rockets that never left the drawing board. One of the most famous of these unbuilt rockets is the Sea Dragon, a true giant which dwarfed even the mighty Saturn rockets of its day. The Sea Dragon was the brain child of the US Navy’s rocket pioneer Captain Robert Truax (by then retired), who played a key role in projects such as the Polaris missile, Viking sounding rocket, and Thor IRBM. Working at Aerojet General in the early 1960’s, Truax led a design study of the concept under a NASA contract. A final report was presented in January 1963. Florida Today reports on a NASA press conference about SpaceX’s Merlin engine problem. NASA says the engine is good to go for the next ISS mission, with certain precautions, but engineers still have not located a specific cause for the failure. “Investigators think that extra testing may have contributed to a pressure chamber breach,” [NASA ISS program manager] Mike Suffredini said…. Suffredini said engineers had reviewed a huge amount of data but not produced a “specific smoking gun,” which he said is not uncommon when investigating systems cannot be recovered. The next engines in line to fly have been inspected thoroughly, and none has been tested beyond the levels needed to certify them for flight. It sure is nice to bring your engines back home with you, rather than dumping them into the ocean, isn’t it? That’s hardly news to anyone in the aviation industry. A&P mechanics hate it when a pilot who doesn’t bring part of the airplane back with him. Still, common wisdom in the space business says expendable vehicles must be cheaper and easier to develop. After all, Von Braun did it that way! A 100-meter space telescope would revolutionize the field of exoplanet research. It would also be useful in other areas of astronomy, of course. The Keck Institute for Space Studies is funding the development of an innovative concept for building such a telescope from self-assembling components. This technique would eliminate the need for development of a large and very expensive new rocket. The Space Shuttle has been the target of negative criticism for a long while. Some of that criticism is fair and valid. There’s no doubt that the Shuttle failed to live up to many of its original goals. Some of it is not fair or valid: the claim that the Shuttle was more dangerous than capsules like Mercury, Gemini, and Apollo, for example. Rational people might have expected the criticism to abate after 2004, when President George W. Bush declared the Shuttle program to be a dead horse. That did not happen. Instead, Shuttle bashing became more vehement as the end of the program drew near. It continues still to this day. Much of the criticism is politically motivated. 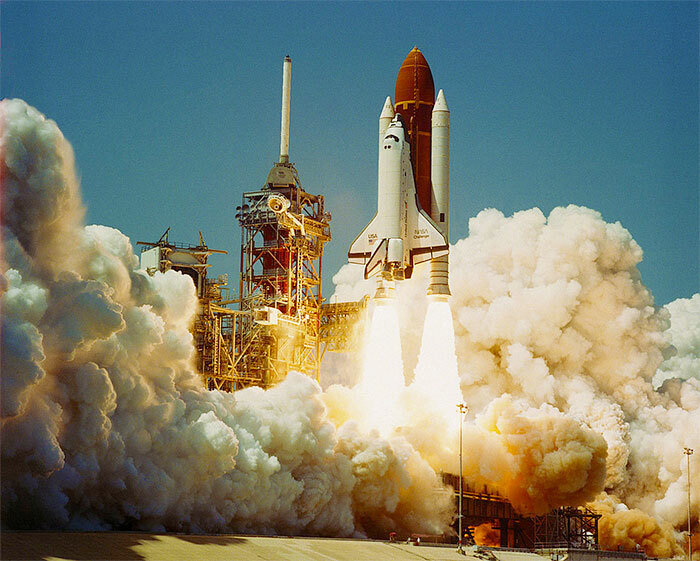 Many critics contend that the Shuttle’s record proves the folly of trying to build a reusable launch vehicle in the future. In their view, expendable rockets and capsules are the only way man was meant to go into space. That criticism is unfair for two reasons. First, the Shuttle was not a fully reusable launch vehicle. 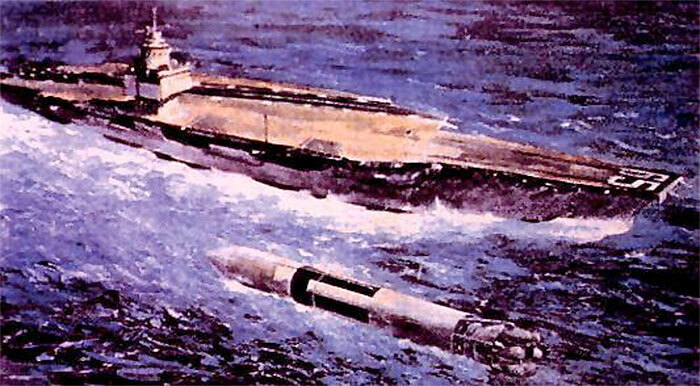 It was a hybrid of reusable and expendable components, and most of its failures can be linked directly to the expendable parts of the system. Second, the Shuttle accomplished far more in its lifetime than the critics would have us believe. Here’s another example showing the utility of human-tended experiments on parabolic flights for technology development. This time, it’s low-cost CubeSat hardware. Written by Astro1 on January 16th, 2013 , Innovation, Nanosatellites Tags: Why humans?